The latest feature film from the house of Swastik Arthouse has begun its festival journey and has already impressed several critics. The first two films from this Odisha based production house – ‘Capital I’ and ‘Khyanikaa’ has already created a global name for itself. These two Odia films made it to several international press and film festivals where earlier we could not reach. Runanubandha this time in Bengali is a film that revolves around the protagonist who comes to the city of Kolkata in search of her father, in search of her creator. Through her exploration, there has been a conscious desire to capture Kolkata the way it looks to the everyday eyes. No attempt has been made to beautify the city, glorify it or deride it. Life is made up of all imperfections coming together and this philosophy is evident through the cinematography of National Award winning filmmaker Amartya Bhattacharyya who is also the director, editor and writer of the film.The film also draws a parallel with the mythological tale of Lord Brahma, the universal father and creator, who was attracted to his own daughter Shatarupa (also known as Saraswati). It unfolds the mystic journey of a daughter in pursuit of her father. Priyanka Ghosh Roy who plays the lead protagonist – Shatarupa, makes her debut in the big screen with this film. The character of Bhola, who is the male lead has been portrayed by Swastik Choudhury who has produced the film as well in association with Filmstop Entertainment. Urbi Sengupta plays a very interesting character which poses lots of alternate theory that pushes and challenges the boundaries of human understanding. Susant Misra, one of the finest filmmakers from Odisha, plays the supporting role of Mishraji. The film has also been ably supported by Sanjitha, Ahamed Karim and Tushar Ray in key roles. The music has been given by critically acclaimed music director Kisaloy Roy. He has experimented with fusion of several instruments and genres to create some memorable sequences for the film. The legendary playback singer and national award winner – Rupam Islam has lent his voice to the title song of the film. This song featured in the 1st volume of Best of Bangla Rock songs which was recently launched. One of the much appreciable part of the film by the critics was the sound design which was done by Sujoy Das the founder of Film Stop Entertainment and who teaches in SRFTI as well. The film which has both technicians and actors from Odisha and Bengal sets some new benchmarks in independent filmmaking. Recently, Runanubandha had its world premiere at the 24th Kolkata International Film Festival where it was officially selected for the International Competition section. Many film critics and acclaimed filmmakers who watched this film had several great things to appreciate and talk about. Later this month the film will be competing in the Indian Competition section at the 11th Bengaluru Interational Film Festival. Despite several roadblocks, including financial struggles, that comes with independent film making, Swastik Arthouse is determined to produce films with high artistic content, such that several film makers from the state get inspired to express their ideas without comprising on quality. 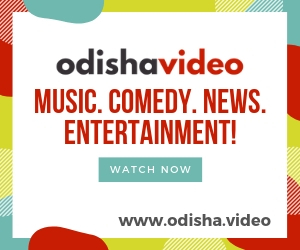 At present the team is busy with the shooting of their next Odia feature film, which is scheduled to be wrapped up by the end of March 2019.